The museum is housed in a sixteenth-century hospice, the Ospitale Santo Spirito. Standing within the original town boundaries, the building is important not only architecturally but also because it has preserved the only example of porticoes connected to the street that survive in Castell’Arquato. 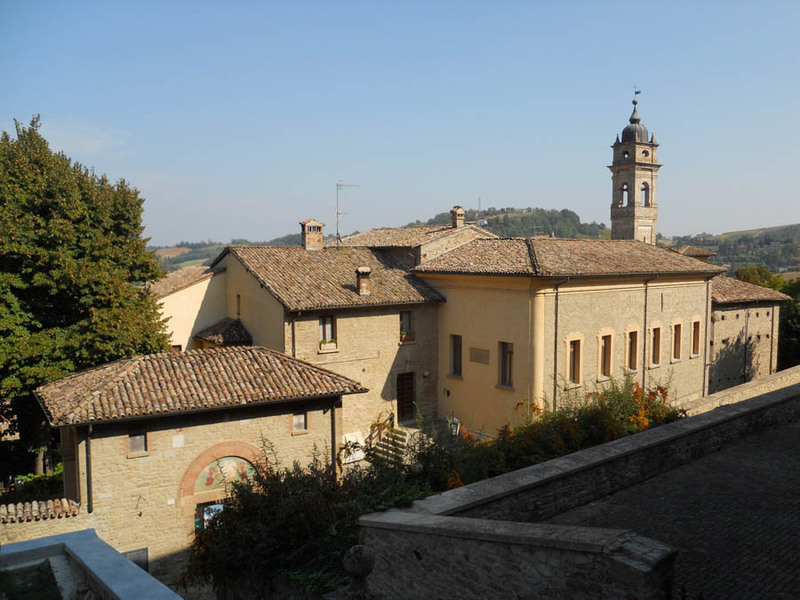 In 1272 the Confraternity of the Santo Spirito applied for permission to convert a house it owned in the town into a hospice, to shelter and accommodate the pilgrims who in those days used to travel along the Via Francigena to Rome. The final deed was drawn up by the notary Guglielmo Di Scipione on 12th January 1275. In the early twelfth century a loggia was added consisting of a portico with three arches in terracotta below and supporting a loggia with slender stone columns on which rested a wooden lintel. The interior contains interesting frescoes in the vault of the main hall, which has retained its original configuration, and a fine coffered ceiling that adorns the chamber with the fireplace. The portico offers an impressive panoramic view of the plain stretching as far as the Po. The civic Giuseppe Cortesi Geological Museum of Castell’Arquato was formally established in 1961. On that date the civic collection of fossils, formed in the early decades of the twentieth century and placed in the room housing the municipal archives in the Palazzo Pretorio, was given its own independent premises in the Torrione Farnesiano in the middle of the ancient town. The development of the collections, and especially the acquisition of new finds of cetaceans discovered nearby, brought out the need to find more suitable premises in the historic building of the Ospitale Santo Spirito, where the museum was moved in 1991 and which became its permanent home. Though this is a local institution, the museum is also well known outside Italy because it preserves the remains of the abundant fossil fauna of the Piacenzian stratotype. The museum houses a rich documentation of the geological history of the Po basin. Outstanding among the collections are those of the local fossil molluscs and in particular the Vittorio Pighi collection, consisting of more than two thousand specimens of considerable interest both scientifically and aesthetically, and the historic Odoardo Bagatti collection made early in the last century by a lawyer from Cremona, who also endowed it with a substantial number of photographic plates and slides he had taken. 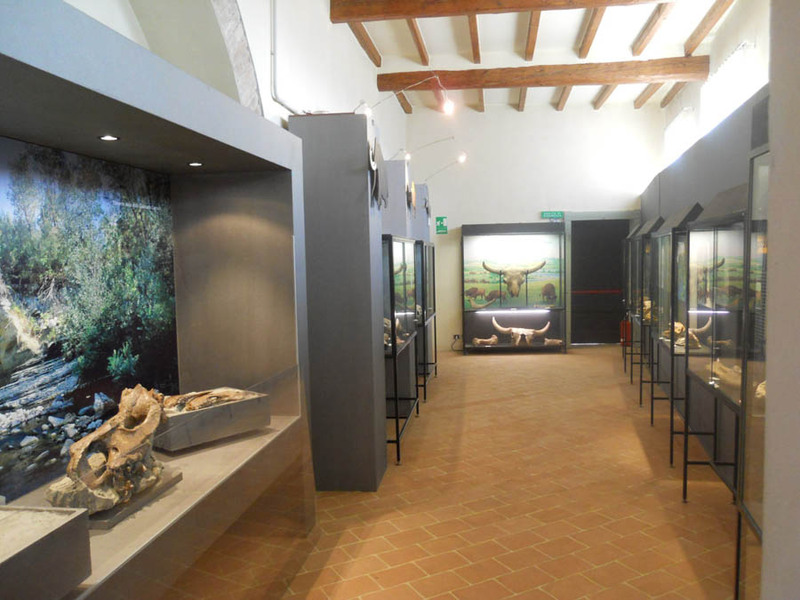 Also of particular importance are the remains of whales and dolphins found in the last decades of the twentieth century on the eroded hillsides that surround the ancient medieval town of Castell’Arquato. Here the tradition of research has its roots in the late eighteenth century with the work of Giuseppe Cortesi, after whom the museum is named. Notable among the finds of cetaceans is the fossil of a whale from Monte Falcone found in 1936, the skull of a baleen whale excavated in 1983 in the calanchi (eroded gulleys) of Rio Carbonaro, and several other skeletal parts recovered in the course of subsequent excavations carried out on behalf of the Soprintendenza Archeologica of Emilia Romagna in collaboration with groups of paleontophiles. Of particular interest are the skeletal parts of some vertebrates from the Quaternary (rhinoceroses, bears, bovids and proboscidea) discovered since 2009 along the Arda Torrent and now on display in a room of their own. An introductory room enables visitors to follow the principal stages of the evolutionary history of life on earth through an exhibition of various particularly significant finds from all over the world displayed in geo-chronological order. 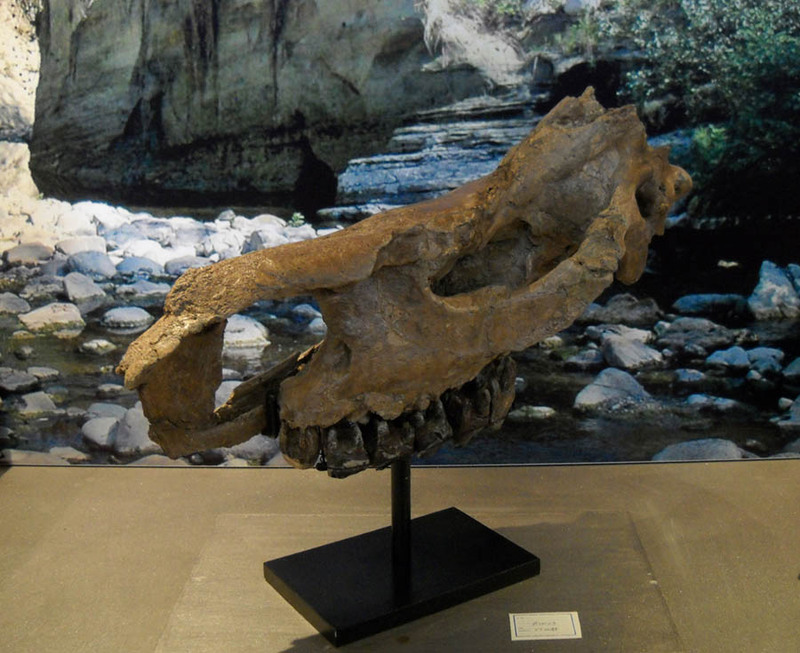 It continues with the fossils of the local Pliocene, the theme of the central gallery of the museum, and finally passes to the room which displays the remains of the large mammals that lived in the primitive Po valley: elephants, hippos, deer and bison create a frame for the first evidence of human presence in the area. The many exhibits include the largest wooden sculpture in Europe depicting a whale (10 meters long) in the act of rising from the water. Right whales and baleen whales are not only weight, length, and morphological characteristics: they are above all a great movement on the surface and in the endless depths of the sea; to represent this in the museum the Milanese sculptor Giorgio Rastelli has “frozen” the whale’s movement in all its forms. In this colossal work art interacts with science to enhance our knowledge of the world around us. Among its auxiliary sectors the museum has an auditorium equipped with multimedia and video facilities available to the public and school groups. This space regularly hosts temporary nature exhibitions, cultural events and travel presentations documenting little-known aspects of certain geographical areas of the planet. In this respect, in collaboration with the Albert De Lapparent Geological Institute in Paris (IGAL), the museum has organized surveys of Ladakh (1987 and 2001), Tibet (1990) and the Urals (1992). An important offshoot of the museum is the Environmental Education Center (CEA), which occupies in special premises adjacent to the museum. It plays a major role as an indispensable link between the museum and protected areas. It has a small teachinglaboratory and a room in which schoolchildren of all levels can study topics related to the area. 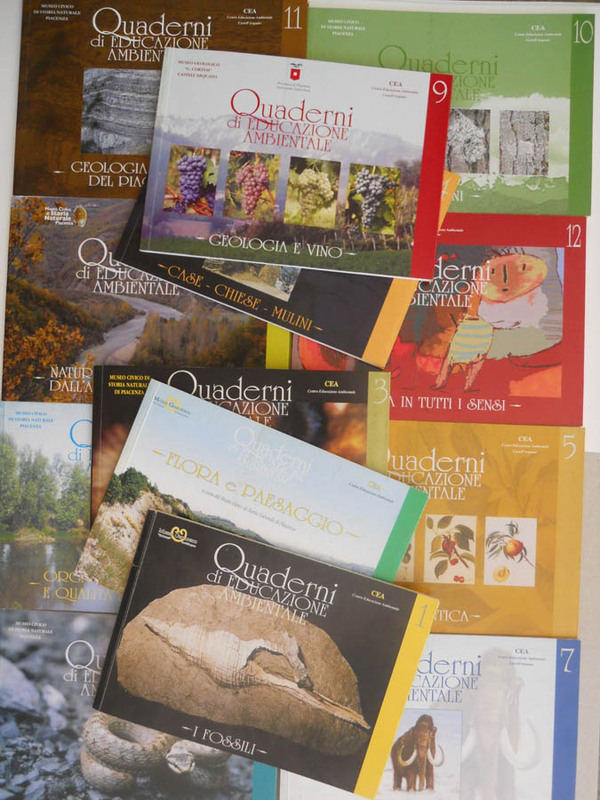 The CEA publishes a series of Environmental Education notebooks (titles already issued include: “Fossils”, “Flora and Landscape”, “Mammals of the Quaternary Period in the Po Valley”, “Geology and Viticulture”). The first to understand the true importance to these remains were some landowners of the Val d'Arda. They began to gather large numbers of fragments of shells and bones in the vicinity of the villages of Lugagnano and Castell’Arquato and so created the first collections. But the scholar who contributed most to the research and knowledge of the local Pliocene was Giuseppe Cortesi, adviser to the court of Piacenza and later honorary professor of Geology at the University of Parma. He became so engrossed by the search that he hired observers to supervise the region and alert him if skeletal fragments emerged. He soon succeeded in amassing a collection not only of shells but also the remains of rhinoceroses, elephants and above all dolphins and whales. The numerous fossil skeletons collected by Cortesi before 1809 were purchased by the Lombardo-Venetian Kingdom and later moved to the Natural History Museum of Milan but lost during World War II. The material gathered by the naturalist after 1809 was purchased by the government of Parma in 1841 for the Cabinet of Natural History at the University, which later also acquired the fossil skeletons of other cetaceans found on the Piacenza hills from another local researcher, Giovanni Podestà of Castell’Arquato. The importance and great variety of fossil specimens, especially with regard to malacology, on various occasions aroused the interest of scholars, including Giovanni Battista Brocchi. In his “Conchiologia fossile subapennina” (1814) he published his collection (one of the most famous of the European Tertiary period), which is now in the Natural History Museum of Milan and contains numerous items from Castell’Arquato. 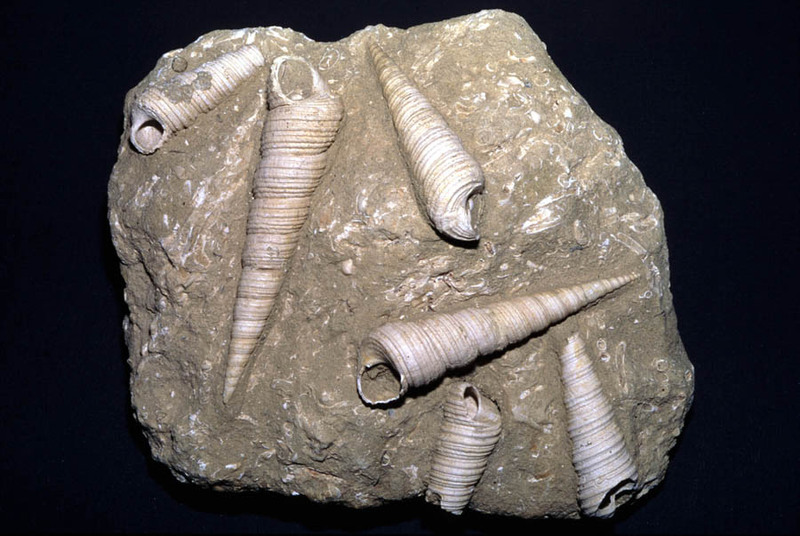 Georges Cuvier was also interested in the fossils found in Val Chiavenna and Valdarda, personally visiting Cortesi’s collection and mentioning it in his works. The interest in the discoveries made in the Piacenza area during this period was heightened by the fact that most of the local collections were sold abroad and this helped disseminate the fossils of the Val d'Arda to the major European museums and stirred the interest in this location among scholars from various countries. In 1858 the Swiss scientist Carl Mayer developed a geological plan which takes its name from the province of Piacenza: the Piacenzian (Piacenzische Stufe) used to indicate the “blue clay” (Blue Mergel), of which the Val d'Arda is the most typical zone. Subsequently, in 1865, Lorenzo Pareto suggested taking as the “type section” of the Piacenzian the succession of strata outcropping on the left bank of the Arda Torrent between the towns of Lugagnano and Castell’Arquato. Recently the scientific community has returned to the concept of the Piacenzian to redefine its time limits (the term is used to indicate land of marine origin between 3.5 and 2.5 million years old) and above all proposing to reuse as the basis of comparison that part of the stratotype that lies between Monte Giogo and Castell’Arquato, where the faunal associations clearly document the “extinctions” caused by the climatic deterioration that accompanied the formation of the Arctic ice caps. The extraordinary abundance of fossil remains in these sediments and their excellent state of preservation provide a particularly significant basis of study for those who are interested in issues bound up with the evolution of the population of the Mediterranean basin and above all the faunal changes that accompanied its environmental development. The work of the Geological Museum is not confined to the museum premises. The fossil remains of the Pliocene sea can be seen directly in the ground close to the medieval town. To protect this natural heritage, in 1995 the Emilia Romagna Region instituted the Piacenzian Geological Nature Reserve, which brings together the most significant paleontological areas of the stratotype, comprising the area of the foothills and hills of the Val Vezzeno, Val Chero, Val Chiavenna, Val d’Arda and Val d’Ongina, and extending to the east as far as the boundary of the Regional River Park of the Stirone: these two protected areas have been recently unified to create the Park of the Stirone and the Piacenzian. 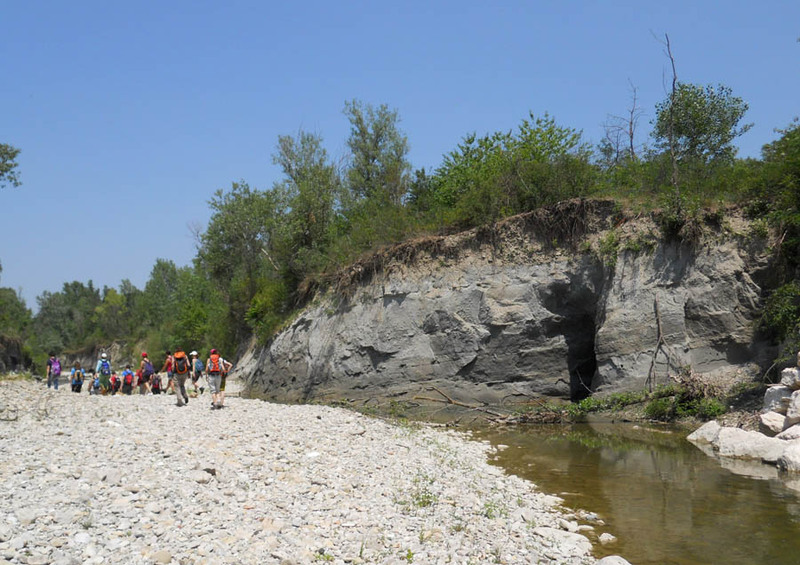 Together with the Piacenzian Geological Reserve, the Geological Museum has initiated a program of educational encounters in the territory which are termed “Green Classrooms”: guided tours and internships that make it possible to gain experience working in the museum and in the fossil-bearing areas with specialists in various fields of the natural sciences. 6 - Bed of the Arda Torrente downstream from the bridge of Castell’Arquato (this station is used permanently by the Geological Museum for holding Green Classrooms). The process that led to the formation of the Apennines began about 35 million years ago, when Corsica and Sardinia split off from the southern part of what is now France and began to rotate anticlockwise. With the emergence of the mountain range of the Apennines, the central and northern Mediterranean found itself divided in two: a palaeo-Tyrrhenian part in the west and a palaeo-Adriatic part in the east. The palaeo-Adriatic region was continued into a vast gulf that stretched into what is now the Po Valley and came to include almost the whole of Piedmont. Between about 10 and 3 million years ago (hence between the Miocene and Pliocene), this great gulf was occupied by fairly shallow seas that enjoyed a warm climate. These waters contained dolphins, whales, sirenids and fish, many of which were tropical or subtropical in affinity, together with hundreds of species of molluscs, crabs and other invertebrates. The cetaceans of this gulf included the whales (shown by a skeleton preserved in Reggio Emilia and various fragments preserved in Modena), fin whales (the skull from Rio Carbonari is one example, but others are preserved in Parma, Bologna, Salsomaggiore Terme, Vignola and Asti), grey whales (a skeleton is preserved in Turin) and various species of dolphins (Castell’Arquato, Salsomaggiore Terme, Torino). For a long time after its formation the Mediterranean was a large gulf in the Atlantic characterized by the presence of extensive coral reefs, until 5.6 million years ago (in the late Messinian), when the connections with the ocean were drastically reduced due to the collision of Africa with Spain and the occurrence of a regressive event, recorded globally, due to the formation of the Arctic ice cap. The lowering of the sea level led to the emergence of vast continental areas among which there remained small lakes with a restricted circulation in which were deposited in successive phases the lime, anhydrites and potassium salts that currently constitute the “Chalk Vein” which traverses Emilia-Romagna and which gives rise to springs of sulphurous water (the spa area of ​​Bacedasco, characterized by the presence of these springs, is just a few miles from Castell’Arquato). About 500,000 years later (5 million years ago) communications with the Atlantic were re-established and the normal marine conditions were restored, as documented by the disappearance of the freshwater species and the arrival of purely marine organisms including some species that are indicators of cold, deep water (such as ostracods and corals), and numerous new species of molluscs, arthropods, fish and cetaceans. 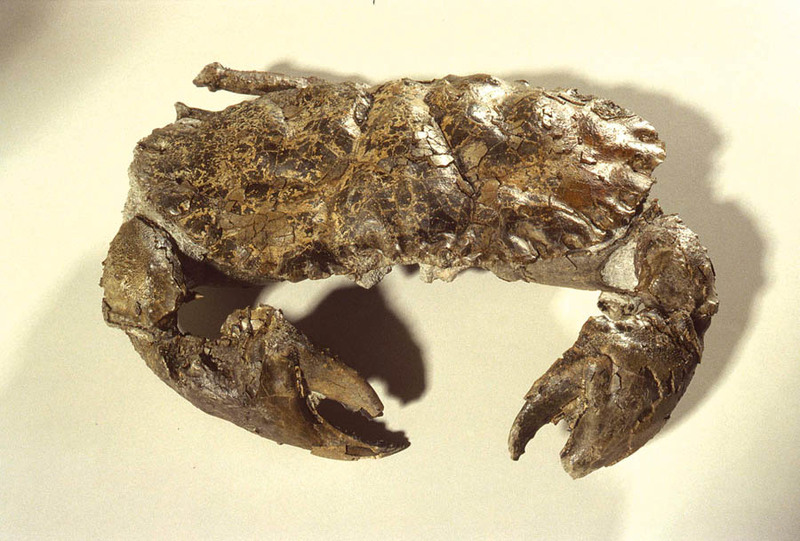 This event represents the concept historically used to define the base of the Pliocene. From this moment on, the Po basin, which until then had followed the events in the Mediterranean, began its own history, which culminated in the course of about 4.5 million years with its infill by the recurrent flooding of the River Po and its tributaries and the final emergence of dry land. The Pliocene transgressive event was followed by a new phase of tectonic compression that led to the lifting of the margin of the Apennines and the Po basin where the adjacent seabed were piling up millions and millions of cubic meters of debris carried by the rivers. 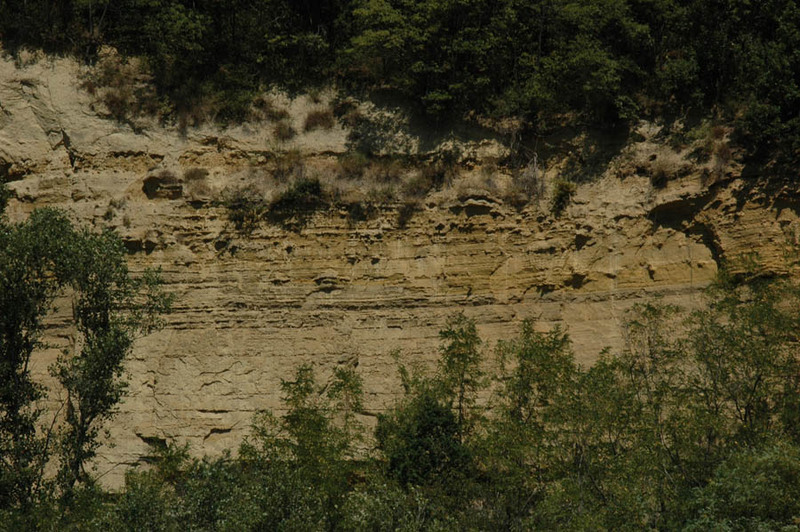 These deposits gave rise to a powerful marine sedimentary succession characterized by the presence of two major regressive cycles (Lower Pliocene cycle and Upper Pliocene cycle, locally related to the Lugagnano Formation and the Castell’Arquato Formation), alternating with lesser cycles, the effects of which were sometimes amplified or attenuated by the intense local tectonics of the various sectors of the Apennines. During the Pliocene the current Po Valley was thus occupied by the waters of the Adriatic Sea, which extended as far as the slopes of the Alps. The unique geographical location of this gulf favoured the proliferation of marine life with a well-diversified fauna and the presence of several species of cetaceans (Odontocetes such as dolphins and Mystecetes such as whales). In the Early Pliocene the environmental conditions were much the same as those found in the eastern Mediterranean with a climate similar to that of Crete, Cyprus or Lebanon. In the Pleistocene (about 1.6 million years ago) the sea finally retreated from the Castell’Arquato area, as is well documented by the increased frequency of lagoon or continental deposits in the marine sedimentary successions (as in the case of the Arda Torrent). The Plio-Pleistocene boundary is marked macroscopically in the whole Mediterranean basin by a sharp climatic deterioration that led to the disappearance of the last organisms with sub-tropical affinities and the appearance of organisms typical of a cold or cold-temperate climate (Nordic guests) such as the bivalve ocean quahog (Arctica islandica). About 800,000 years ago, the sea finally abandoned these zones and the vast land areas of the newly formed Po Valley were colonized by elephants, hippos and rhinoceroses whose ancestors migrated from Africa to Europe across the natural bridges that formed during the “salinity crisis” in the Messinian. In the Quaternary the climatic deterioration already begun in the Pliocene became more acute. Temperate phases (interglacials) alternated with intense glacial phases during which the snowline gradually moved towards lower latitudes. During the interglacial periods the climate was milder and the average temperatures higher. These climatic changes were matched by corresponding changes in the flora and fauna: the warm-temperate faunal associations typically characterized by the presence of deer, and an abundance of hippos, elephants and rhinoceroses, alternated with colder climatic associations characterized by red deer, chamois and ibex. The fossil record of the “Pliocene Sea” has been brought to light since the late eighteenth century along the steep cliffs and gullies and the small watercourses cut into the rocks between the Torrente Nure and Torrente Arda. Among the first scholars to make a decisive contribution to exploring and understanding Pliocene Piacenza was Giuseppe Cortesi, a counsellor at the court of law in Piacenza, and later honorary professor of Geology at the University of Parma. His fascination with the relics of the past in this area led him to collect important finds of shells, rhinoceroses, elephants, dolphins and whales. 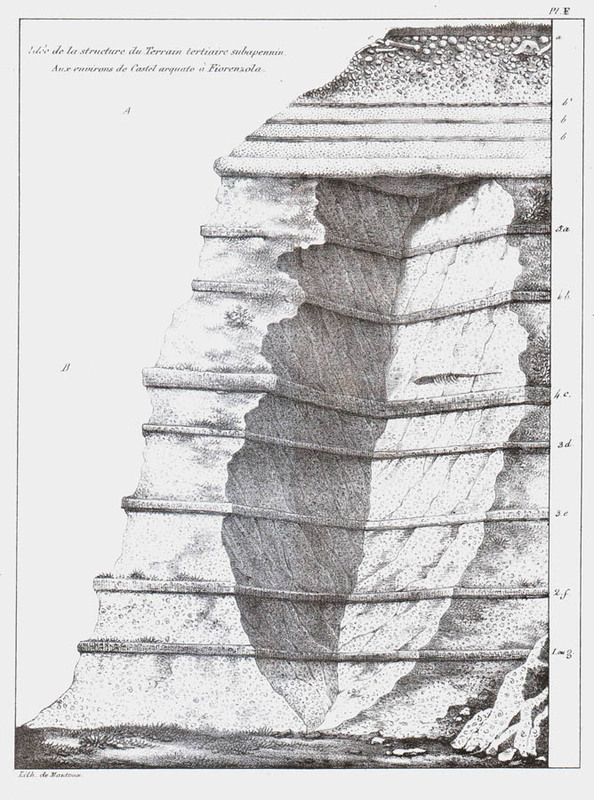 In addition to the first documented discovery of the remains of a whale, which occurred in 1793, Cortesi also had the merit of describing his finds in detail in his “Geological Essays on the States of Parma and Piacenza”, published in 1819. On Cortesi’s death there was a sharp decline in research, except for the activity of Giovanni Podestà, who collected fossils and in 1842 discovered the remains of a dolphin and a whale. In 1886 the discoveries were resumed with finds of several vertebrae in the Burrone del Gallo, under Monte Pulgnasco at Montezago. In late 1895 the remains of a delphinoid were found in Rio Stramonte by the Pallastrelli brothers of Castell’Arquato. Two years later, in the vicinity of Bacedasco the remains of a Burtinopsis similis were brought to light, and in January 1899, again in Rio Stramonte, various skeletal parts belonging to a whale were recovered. These were the last discoveries of the nineteenth century and attracted the interest of the leading palaeontologists of the period. They included Cuvier, Brandt, Van Beneden and the Italians Strobel, Capellini, Del Prato and Simonelli. The early decades of the twentieth century were not particularly rich in finds of the remains of cetaceans and other fossil vertebrates. There were only sporadic finds of vertebrae and ribs until 1934. In that year Dr. Antonino Menozzi discovered the remains of a large whale in the calanchi (eroded hillsides) of Monte Falcone, near the medieval village. The complex work of recovery lasted almost two years and brought to the light, in addition to the spine, a large number of ribs and the left shoulder blade and jaw. To record the exceptional discovery the Istituto Luce made a short documentary that was screened in cinemas around the country. 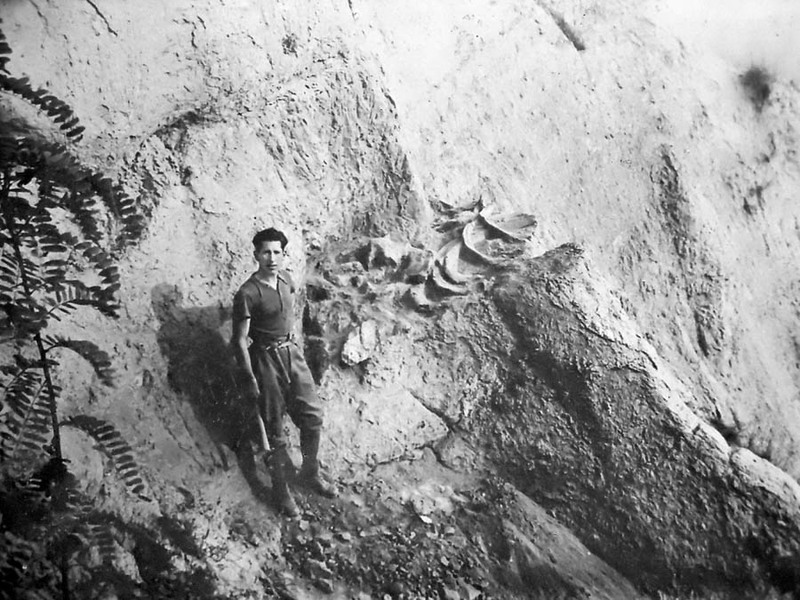 After this no significant remains of cetaceans were found until April 1983, when the fossil skull of Balaenoptera acutorostrata came to light almost complete and very well preserved, in the calanchi overlooking Rio dei Carbonari. 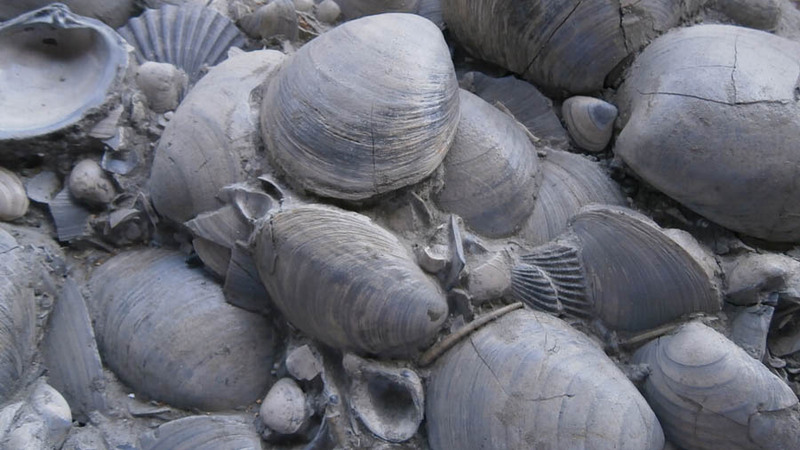 The discovery was made by Roberto and Piero Volpi and Luigi Rusconi during one of their periodic searches for fossils in the calanchi near the village of Tabiano di Lugagnano. In 1986, skeletal parts of fin whales were found in the calanchi of Bacedasco and near Chiavenna Rocchetta. Also in Val Chiavenna, along the eroded incisions of the Rio Stramonte, a dolphin skull came to light in 1991. The last major discovery dates from 2009: the skeleton of a dolphin, found in the village of Torrazza di Montezago by Paolo Umili and Paolo Evangelista.